To lighten it up, I used the leanest ground beef I could find. 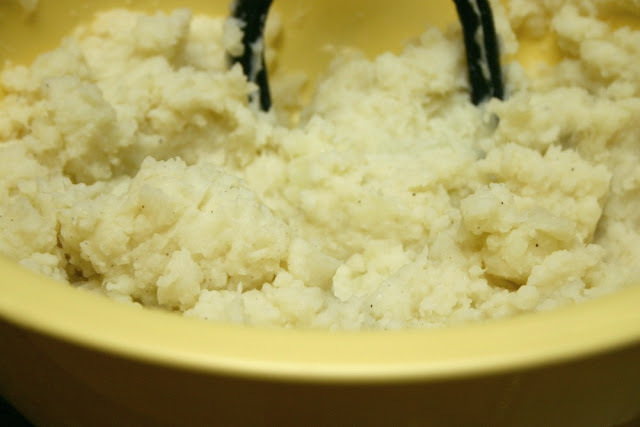 I also mixed mashed cauliflower to the potatoes and no one could tell that it wasn't 100% mashed potatoes. This is a great way to sneak more veggies into the dish, especially if you have finnicky eaters in the household (thankfully, I do not). 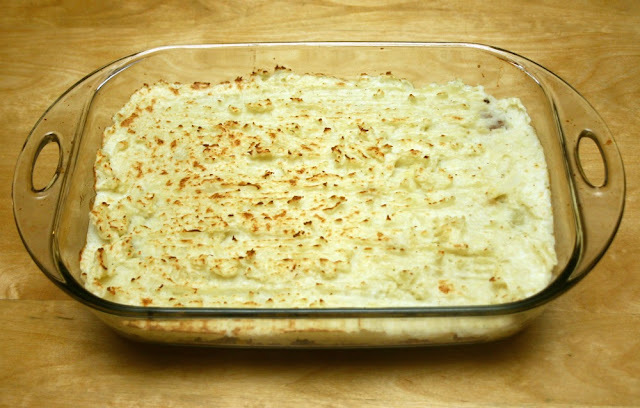 The great thing about using cauliflower is that it makes the mashed potatoes moist and fluffy without needing too much added liquid. Instead of butter, I used fat free sour cream and skim milk which lends just a touch of creaminess to the dish. 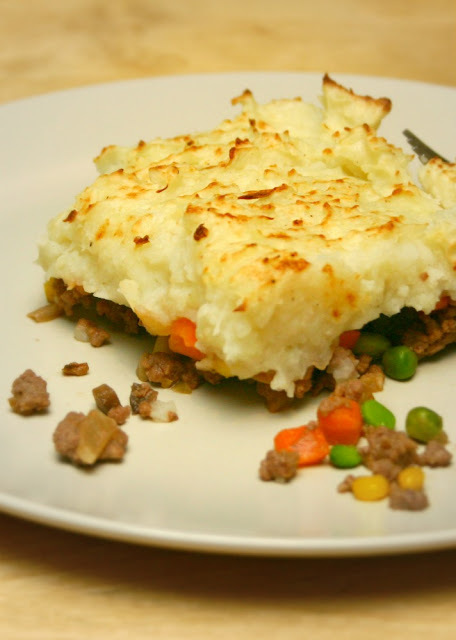 Overall, this is a very light dish and not at all heavy like typical Shepherd's Pie. My son even commented that he prefers it with the cauliflower. 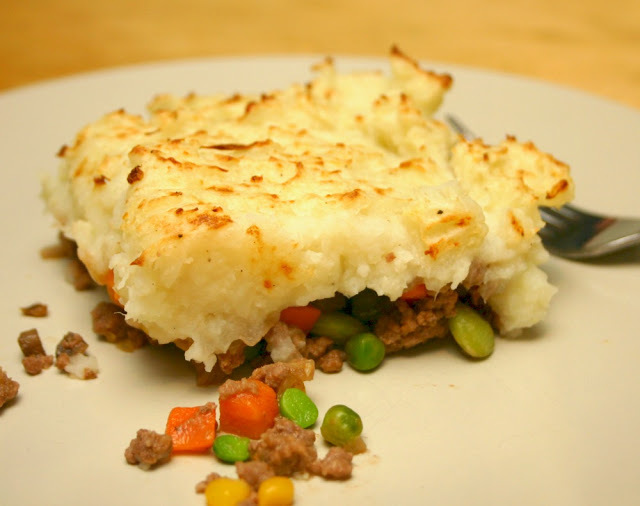 This dish comes out to under 400 calories per serving and can be made in about 45 minutes, including the browning time. Weight Watchers PointsPlus (per serving): 7 pts. Bring a large pot of water to a boil and add the potatoes and cauliflower. Cook for about 15 to 20 minutes until done or when a fork can be easily inserted. While the cauliflower and potatoes are cooking, prepare the beef mixture. Heat the olive oil in a large skillet. Saute the onions for a couple of minutes then add the ground beef. Cook until the beef is evenly browned. Add the mushrooms, mixed vegetables, Worcestershire sauce and tomato paste. Stir until all the ingredients are incorporated and the beef is cooked through, about 10 minutes. Season to taste with salt and pepper. 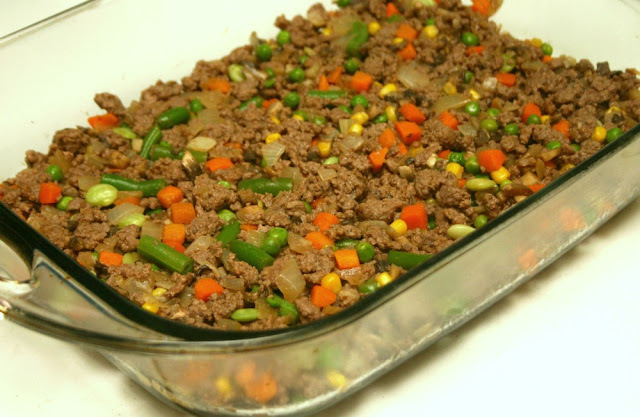 Transfer the meat mixture to a 9 x 13 baking dish and distribute evenly. Turn the broiler on at this point. Drain the cooked cauliflower and potatoes and transfer to a large bowl. 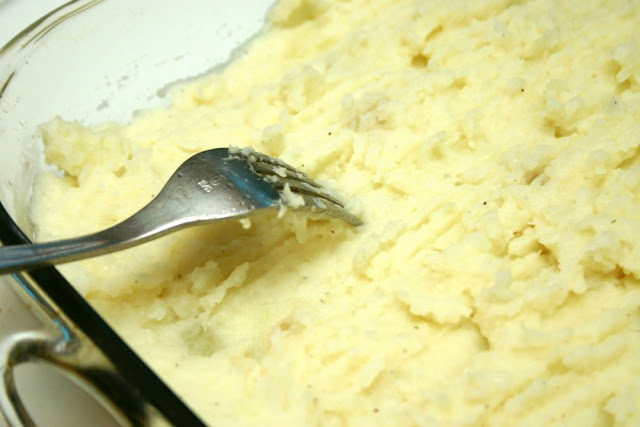 Use a potato masher and mash everything together. Add the sour cream, skim milk, garlic powder, salt and pepper (season to taste) and continue mashing until you get a creamy consistency. For an even smoother consistency, you can also run the potatoes and cauliflower through a food mill or food processor. 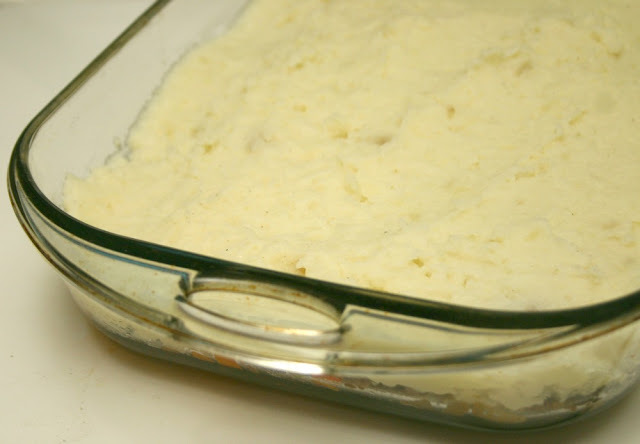 Top the meat mixture with the mashed potatoes and cauliflower and smooth over until it covers the meat completely. Run a fork over the potatoes to create decorative lines and to form peaks which will brown nicely under the broiler. Place the baking dish under the broiler and broil for about 15 minutes, until the top has browned. Serve immediately. This makes 6 hearty and filling servings yet does not weigh you down! A must try for meat and potato lovers.